I recently returned from a tour of the Black Sea and felt compelled to write a few reflections about the benefits of being a historian while being on tour of the sites that ring this region. I say this in recognition that in the places visited, for reasons either historical or contemporary politics, the official spiel of the guides was carefully designed to provide a positive message about the place and one that would not offend the customers—in short something innocuous. Controversial topics should be either avoided or played down. A tourist was at a disadvantage if he had not sufficiently read relevant literature prior to the trip in order to deconstruct what he was hearing. I should state at the outset that this venture was not a study trip although three lecturers enhanced the experience. The guides provided a plethora of historical data, especially from more distant times, because I think it is safer. In the Ukraine we visited three locations: Odessa, Sevastopol and Yalta, and in Russia toured Sochi. 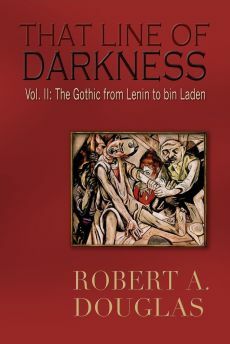 Given that the publication of That Line of Darkness: The Gothic Spirit from Lenin to bin Laden, Encompass Editions, 2013 will soon be released, these places held considerable interest. A walking tour in Odessa of the area built in the late eighteenth and early nineteenth century introduced Catherine the Great’s New Russia. Standing at the top of the famed Potemkin steps did evoke the famous massacre scene with the tumbling baby carriage from the 1925 classic Battleship Potemkin. We did hear that the city was named one of the “hero” cities because of its endurance during the shelling of Odessa during World War II when its citizens resisted the Romanians, the ally of Nazi Germany. But the material presented appeared sanitized and highly selective given that a sizable number of Ukrainians collaborated with the Romanians and most of the population spent the war safely evacuated to the east. In addition, the Romanians established control of the city and the region, and conducted a reign of terror against the Jews. For the full horror of this period, I would highly recommend chapters nine and eleven from Charles King’s excellent Odessa: Genius and Death in a City of Dreams (2011). In Sevastopol, a brief mention was made of the resistance to the Romanians during the war but the primary focus was on something more distant—a Russian campaign during the eleven-month siege in 1854-55 during the Crimean War by Allied forces. 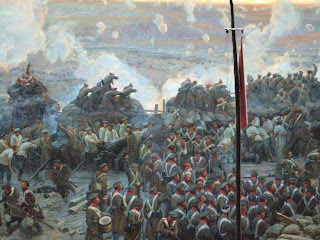 A city highlight is a panoramic painting featuring four thousand human figures, three-dimensional relief models of defense fortifications and guns of a one-day successful attempt to repel an attack by British and French troops, an example of Russian courage and tenacity in the face of foreign aggression, although that sentiment was never overtly expressed. The stated message at the panorama was that a million died in this pointless war and nothing was accomplished. Not quite true since the Treaty of Paris established that no warships would be allowed to patrol the Black Sea, a provision that had the imprimatur of international law. (The Russian fleet's destruction of their Turkish counterpart prompted the British and the French to come to the support of the Ottomans because they feared that the Russian navy would seize control the Dardanelles and threaten western commerce.) None of this was mentioned by the guide. But her point about the human devastation from that war is well-taken. I am reminded of Clare Clark’s novel The Great Stink that features a traumatized veteran, an engineer who welcomes the opportunity to work on the construction of the sewer system because he hopes the work will help him to forget his ghastly Crimean War experience and yet he slashes his arms and thighs when he cannot maintain the routines of a “normal” life. 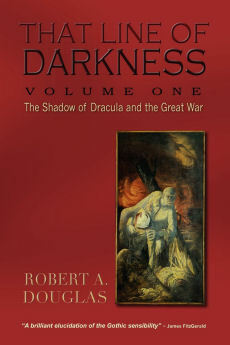 Periodically, I will be commentating on research books that came out after the publication of That Line of Darkness: The Shadow of Dracula and the Great War, Encompass Editions, 2012. In this way, I and the reader can have an ongoing conversation about the book. In 1881 the British physiologist, David Ferrier, went on trial for violating the Anti-Vivisection Act by performing experiments on two live monkeys without a permit. His defenders, principally neurologists, argued that the detailed cortical maps, that resulted from his experiments on the brains of animals and from autopsies, had saved lives of those who had suffered from brain tumors, strokes and cracked skulls because surgeons were now able to pinpoint the specific damaged tissue. His opponents, mainly middle-class women, contended that Ferrier’s experiments had caused unnecessary cruelty to animals. But the implications of his work caused greater consternation. 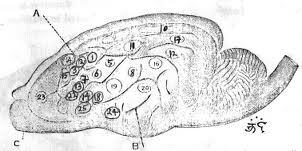 If there were little distinction between the brains of human beings and animals – Ferrier made clear there was not – an electrical stimulus could be a substitute for human volition or consciousness and turn human beings into automata or soulless beings. Although the case eventually collapsed against Ferrier, the controversy lingered in the public memory and deeply affected the creative work of Gothic novelists who kept abreast of the latest scientific research. Among them were Robert Louis Stevenson, H. G. Wells and Bram Stoker, three of the subjects in Anne Stiles’ groundbreaking and stimulating monograph, Popular Fiction and Brain Research in the Late Nineteenth Century (Cambridge University Press, 2012).